As the author of world history textbooks for children, I am always on the hunt for extraordinary literature that complements my work and helps bring history to life. I have found such a resource with Sam Houston's Republic . . . a captivating and historically accurate portrayal . . .-Linda Lacour Hobar, author of The Mystery of History. 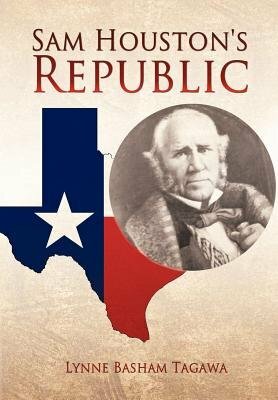 Sam Houston's Republic chronicles Texas history in a captivating blend of adventure, politics, Christian faith, romance, and even a splash of humor. The author illuminates the hearts and minds of her characters in a vivid detail that belies a history text . . . A highly recommended read -Susan B. Weir Hear hoof beats in your classroom or homeschool . . . Travel with Sam Houston as he outmaneuvers Santa Anna Journey with Zechariah Morrell as he preaches the gospel and endures hardship Defend the frontier with Texas Ranger Jack Hays "captivating . . . an amazing piece of work . . . I enjoyed it immensely . . ." -Paul White, 11th grade Lynne Tagawa never found "social studies" interesting in school. After the Lord saved her she began to see that history was His Story. Married and the mother of four sons, she has taught in Christian schools and at home. The Tagawas reside in Texas.